The primary evidence comes from the two types of pottery that have been found at the site: Swift Creek pottery and Weeden Island pottery. 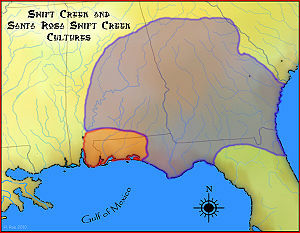 The Swift Creek culture is the older and more wide-spread of the two and it is believed that the Weeden Island culture evolved directly from the Swift Creek. 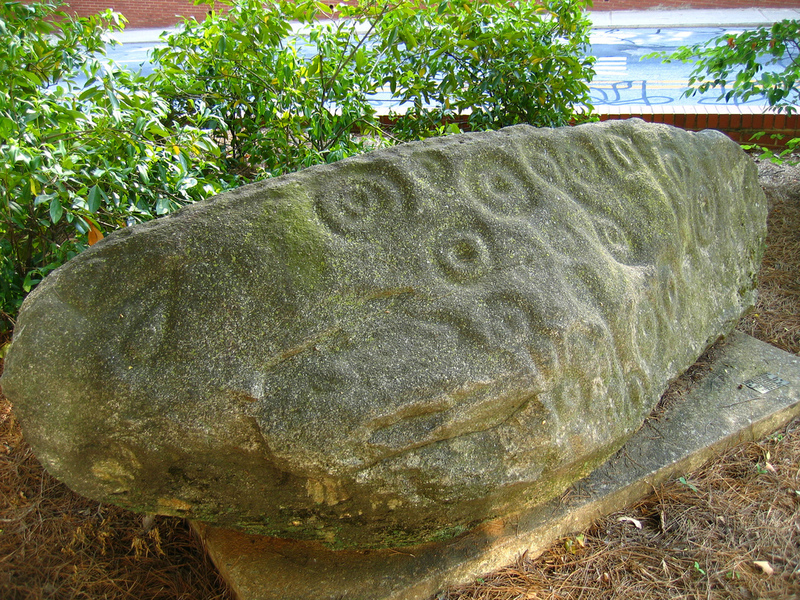 A map of the Swift Creek culture area shows that it was once spread across most of the state of Georgia. The distribution of this culture and its pottery seems to match the distribution of the Hitchiti Native American language family thus it is likely that Hitchiti was the language of the Swift Creek Culture. 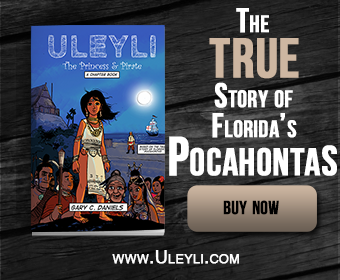 One of the few modern-day speakers of this language is the Miccosukee Indian Tribe in south Florida. 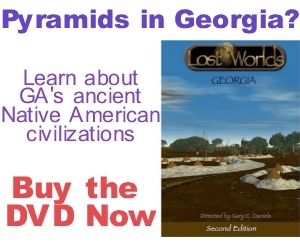 They were once part of a larger tribe known as the Chiaha who lived in Georgia and Tennessee. 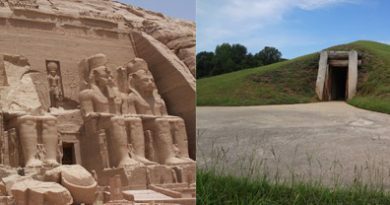 As was noted in our previous discussion on Fort Mountain there is mounting evidence that the Chiaha were Maya immigrants from Mexico. According to one Hitchiti migration legend they arrived by boat in the Lake Okeechobee area of Florida before migrating north into Georgia. 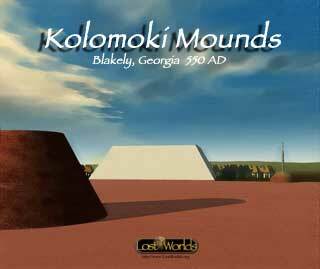 Archaeologists have found the earliest evidence of corn agriculture in North America in the area around Lake Okeechobee dating to at least 200 AD, the same time period that construction began at Kolomoki. Corn originated in Mexico thus its arrival in Florida suggests Mexican natives brought it there by boat. Additionally, linguistic connections between Hitchiti and Mayan also exist. 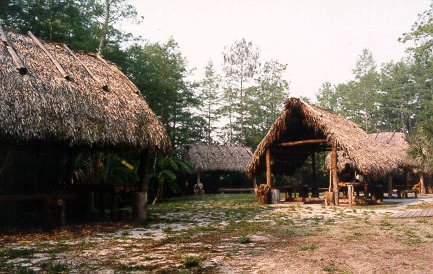 For instance, Chiaha is a Mayan word that means “edge water” or “water’s edge.” This is precisely where most Swift Creek villages were constructed and thus a fitting name for this tribe. The Hitchiti word for “house” is chiki, the same as it is for the Totonacs in Mexico. In both Mayan and Hitchiti chi means “mouth.” These are just a few examples of the linguistic connections. But further connections can be found in the Swift Creek pottery itself. It appears that Mesoamerican glyphs are represented in many of the design motifs carved and stamped into the surfaces of these pots. The most famous and widespread mythological symbol in Mexico is that of Quetzalcoatl, the plumed or feathered serpent. Images of this mythological being have been discovered on Swift Creek pottery. 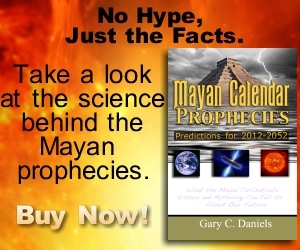 Also, in pre-Hispanic Mexican mythology the year “2 Cane” is associated with the beginning of time. The glyph for “2 Cane” has been found on Swift Creek pottery. Further research will undoubtedly reveal even more such connections.